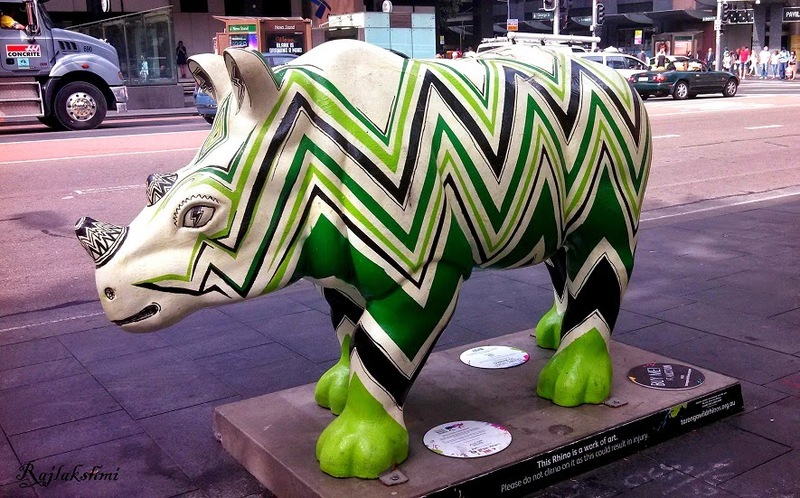 Remember the post I did on Rhino Sculptures all around Sydney, here are three more that I missed posting in my earlier post. 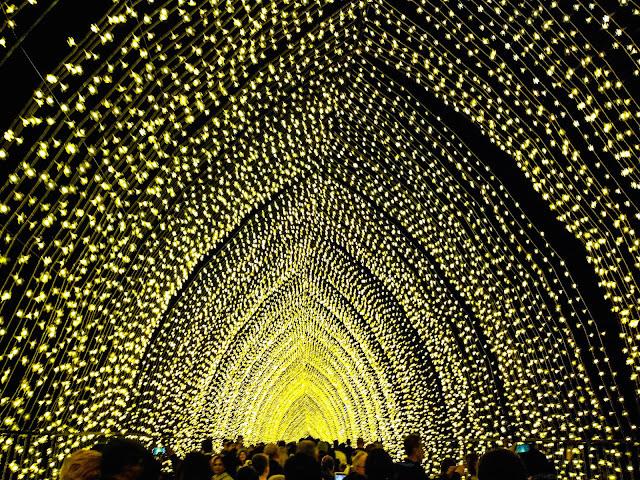 The sculptures were designed by artists, and placed in different areas of Sydney CDB. 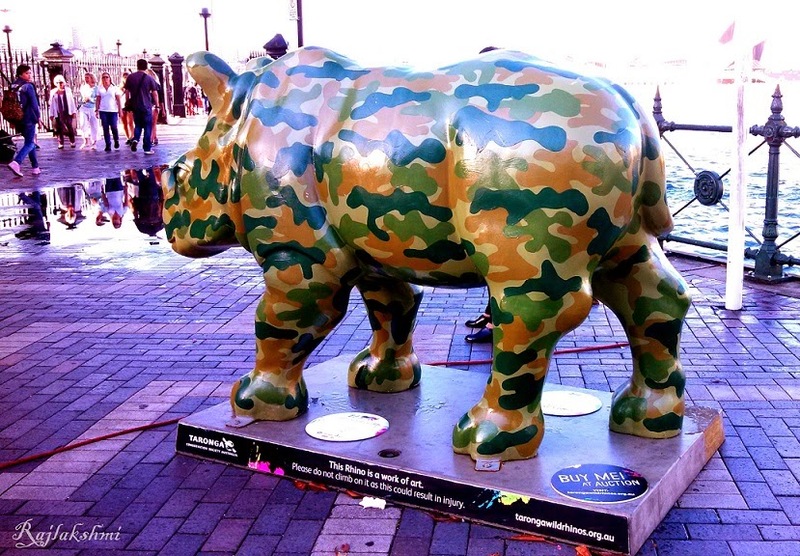 This was an initiative by Taroonga Zoo to create awareness among general mass about conservation of Rhinoceros. These sculptures have now been removed. 45 Rhinos were auctioned in May and the funds went to Taroonga, founding member of the International Rhino Foundation (IRF). Don't forget to check out the other sculptures in my previous post. And let me know which one is your favorite. Aren't those rhinos fun? Love them and isn't that a great way to raise money to help save these wonderful animals? I especially like the green zigzaggy one. He's really cute! What a great idea! Never heard of it before. I liked the 1st one. 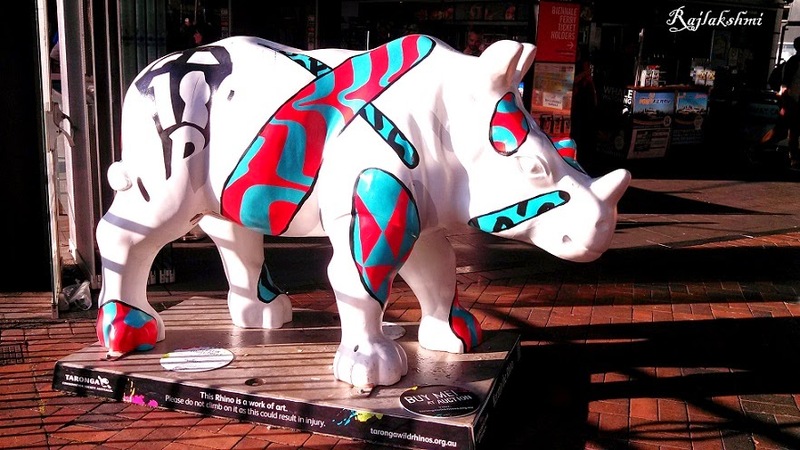 Beautiful and fabulously coloured rhinos Raj :) I love sculptures and sweet Sydney and Toronga is a revelation in how well animals can be looked after, we esp loved the elephants and their watering hole.